ICC Prosecutors to appeal Gbagbo acquittal on war crimes charges – Royal Times of Nigeria. Prosecutors at the International Criminal Court say they will appeal Tuesday’s surprise acquittal of former Ivory Coast President Laurent Gbagbo of crimes against humanity in connection with the deadly violence after his loss in the 2010 presidential elections. 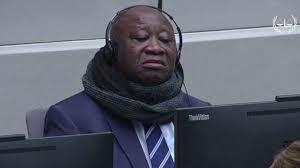 ICC judges cleared Gbagbo and his right-hand man Charles Ble Goude of charges of crimes against humanity on Tuesday. They also ordered their release, but suspended the order until today to give the prosecution time to file an appeal. In its notice to the court, the prosecutors urged the judges to place strict conditions on Gbagbo’s and Ble Goude’s release, citing a fear that they may flee the court’s jurisdiction if the appeal was successful and the trial was to continue. 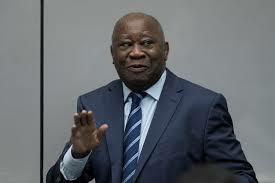 Gbagbo stands accused over the deaths of 3,000 people killed in months of clashes in the West African nation when he refused to accept defeat after elections in late 2010. Gbagbo has already been in detention since 2011, and his trial at the ICC started in 2016. In a majority decision by two judges to one, the ICC said on Tuesday that prosecutors failed to prove that Gbagbo and Ble Goude had concocted a “common plan” to push their supporters towards violence. Tuesday’s verdict was the latest setback for prosecutions of accused war criminals at The Hague.